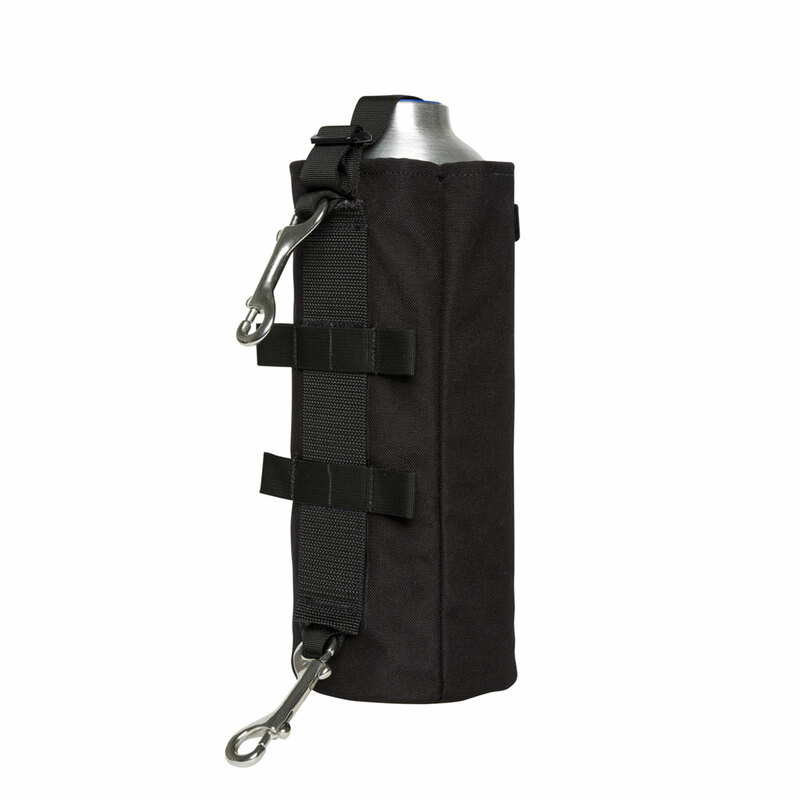 TANK POUCH This heavy duty nylon pouch is made to fit the 20 cu ft pony bottle (5.25" diameter) included in our 20 cu ft Pony Bottle System. With two double ended snaps the pouch can be mounted in a variety of locations on your BC. This heavy duty nylon pouch is made to fit the 20 cu ft pony bottle (5.25″ diameter) included in our 20 cu ft Pony Bottle System. With two double ended snaps the pouch can be mounted in a variety of locations on your BC.